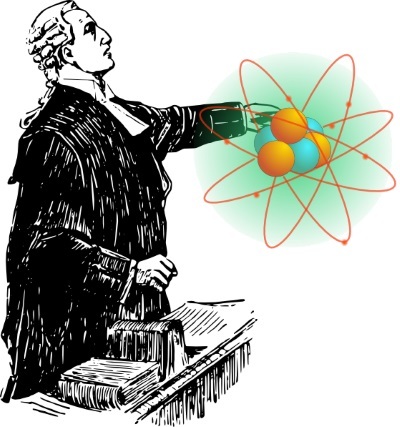 Would Evidence for Radiometric Dating Stand Up in a Court of Law? Forensic science is very important in obtaining evidence about the past. Naturally, the more recent the evidence, the more persuasive it is, especially in a court of law. To send someone to jail or certain other instances nowadays in American courts, guilt must be proven "beyond the shadow of a doubt". In small-claims court, someone needs "a preponderance of the evidence". Good thing that procedures have advanced from the time of "Hanging Judge" Isaac Parker, who tried 13,490 cases his ownself and sentenced 160 who were convicted to death by hanging (but only 79 actually attended a necktie party). Evolution and radiometric dating use forensic science, but we're not talking about what happened last week or a few months ago. Rather, these are the ultimate "cold case files", supposedly going back millions of years. Radiometric dating is a mite different though, since the measurements of parent-daughter materials are done in the present, but require several assumptions about the past. Image composed of graphics obtained at Clker clipart. "I thought I smelled wood burning!" We're getting close to the campfire — hey! Stop playing. As I was saying, I was thinking about someone presenting radiometric dating to convince a court about the age of the Earth. Would a judge or jury be able to make a ruling? Dealing with matters of science in court can be a fiasco, as in the 2005 Dover case, but let's let the mustangs of our imagination run free for a spell. "I would now like to examine the witness' evidence to support the validity of radiometric dating, if it pleases the court". "What material do you test to determine the age of the Earth?" "The best source material comes from meteorites." "Because certain meteorites contain the purest substance from the formation of the solar system, and are uncontaminated." "Can you support your assertion?" "Well, we have several theories about the formation of the solar system after the Big Bang—"
"I'll take that as a no, then. How about the testing for radioactivity?" "We have several methods, including potassium-argon, uranium-lead, and so on. We know the half-life of radioactive elements, Potassium-40 is 1.248×109 years, so we calculate how much potassium and argon are in the sample and use our formulas." "How do you know the amounts of potassium of potassium and argon were there at the beginning?" "Well, uh, we're scientists, so, it's complicated". "In other words, you do not know how much was there at the beginning. Moving on, how do you know if the decay rate remained constant, and whether or not material was added or removed?" "I see. You mentioned uranium to lead." "Yes, there are several materials that we can compare." "Do these methods agree with each other in the results?" "No, they can vary greatly." "So, what do you do when the results differ?" "We choose the one that we feel is the most accurate." "Rather subjective, isn't it? You're basing the results on presuppositions and assumptions. So far, we have a whole heap of assumptions, old son." "Back off, man, we're scientists!" "Didn't mean to put a burr under your saddle. Or did I? Anyway, what about other methods to determine the age of the Earth, aside from radiometric dating? These give results for a much younger Earth, don't they?" "Yes, but those cannot be trusted because the results are much too young." "That is useless for rocks because it only works on organic materials." "Are the Carbon-14 results reliable? My mother-in-law has been carbon dated to 20,000 years, but I know for a fact that she is only 523 years old." "Seriously, though, are the results reliable?" "You said that Carbon-14 is only used on organic materials. I know that it has a half-life of 5,730 years, so there should be none found in old rocks and things. Yet it's been found in 'ancient' things like coal and diamonds." Kind of impugning the work of many scientists in many labs there, aren't you? So those results are rejected out of hand as unreliable when they conflict with your paradigm. In other words, you've already decided that the Earth is ancient. After all, when Kelvin told Darwin about his young Earth calculations, Darwin said, 'I am greatly troubled at the short duration of the world according to Sir W. Thomson, for I require for my theoretical views a very long period before the Cambrian formation'. Your cherry-picked results are selected to enable evolution to happen, which requires large amounts of time. "Your honor, I recommend that this witness be disqualified, since he is biased and selects 'answers' according to his ideological preferences!" That's kind of how I think it would go if someone were to present radiometric dating as evidence in court; even a hangin' judge would want better evidence and reasoning before rendering a verdict. The public tends to believe what scientists say because they're scientists. Fact is, in many areas, they are full of the east wind. Biblical creationists encourage people to utilize critical thinking so they can see the poor reasoning used to support evolution and long-age thinking. Radiometric dating is loaded with difficulties and assumptions, including cherry-picked data and biases. There is a great deal of evidence that Earth is young, created recently. Here are some links to give you further information — scientific things that the anti-creationists keep under wraps. These range from lay level to highly technical. First, a video lecture by Dr. Tas Walker, "Once Upon a Time: Understanding The Mythology Behind Radioactive Dating". Links to an 8-part series that I called "Radiometric Dating and Reason". These will send you to the ICR article series. A whole whack of links for your education at CMI's "Radiometric Dating Questions and Answers". Another heapin' helpin' of links at AiG's "Radiometric Dating". Still another passel of links at ICR's "Radiometric Dating". Several articles at Creation-Evolution Headlines. The links will take you to some reliable information, but feel free to search those sites (and this one as well) for further information on radiometric dating and other information on evolution and such.